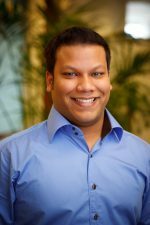 In anticipation of his upcoming conference presentation, What Millennial Employees Actually Value: Lessons from Predictive Modeling, at Predictive Analytics World for Business Las Vegas, June 3-7, 2018, we asked Tauseef Rahman, Principal, Workforce Strategy & Analytics at Mercer, a few questions about his work in predictive analytics. Q: In our interview with your co-presenter, Haig Nalbantian, he mentioned that a key finding you two will share during your talk at Predictive Analytics World is that there is a disconnect between how people expect Millennials to behave, as gleaned from surveys, and what the actual behaviors are of Millennials. Could you elaborate a bit more? A: Certainly. Haig and I, with the support of our Mercer colleagues, sought to test what I’ll call the “conventional wisdom” on Millennials, to see if there was any truth to them in the context of work. Some stereotypes about Millennials include: they’re less “loyal” to firms, are more interested in “experiences” instead of pay, seek constant performance feedback that is only positive. These attributes derive from multiple sources— employee surveys, exit survey data, anecdotal reports, all of which lead to common generalizations. So, we approached these stereotypes as testable hypotheses, and what we found was surprising. Some of the hypotheses we developed based on the “conventional wisdom” were true. In some cases, some of what I’ll call more positive attributes associated to Millennials, were not borne out in the data. This disconnect between what people SAY (in this case, the generalizations and conventional wisdom) and what Millennials DO (as measured by predictors of actual turnover) is not new to us. What we believe is new, however, is the empirical approach we’re able to take to testing hypotheses about this particular generation. Q: That is interesting. How were you able to do so? We focused on studying the drivers of turnover. In effect, employees vote with their feet when deciding to stay or leave an organization, which opens an opportunity to understand what they actually value in the employment relationship. Specifically, we analyzed the running record of actual employee turnover across multiple years within an organization, using data from about ten organizations for whom we’ve done analytics work. This allowed us to identify and measure the effects of both individual and organizational characteristics that we accounted for in our turnover models. Among the individual factors we controlled for were length of service, tenure in job, performance history, pay levels, whether an employee experiences a promotion or lateral move, and attributes of the employee’s supervisor, among others. Our database of organizations spans multiple industries, sizes, geographic distributions, and we controlled for these in our models. We then of course controlled for the generation of employees based on their birth year. This allowed us to identify the factors that most explain or predict the actual turnover behavior of Millennials as compared to older workers. By comparing the findings of the turnover model against the hypotheses we generated for testing that we described above, we were able to engage in what I like to call Millennial “myth-busting”. Q: How did this research come about? It was during our last Hackathon in 2017 that Haig and I collaborated with Mercer colleagues, Ishita Sengupta, and Lorenzo Galli, to apply our SAY-DO approach to understanding the values of Millennial workers as measured by turnover drivers. We did a rapid literature review to understand what the previous research has been on this topic—the challenges, the theories, the learnings—and then applied the Mercer lens drawing on decades of analytics work of our team. We of course then refined the research since 2017 leading up until our presentation this June. Q: What’s a key lesson from your findings that other organizations or practitioners can apply? A: I think our research highlights the advantage of augmenting survey data with analyses of behavioral data. Sometimes behavioral data will reinforce what you learn from perceptual data; sometimes it will contradict perceptual data. The comparison of results enables a deeper understanding of the realities of workforce behavior in the workplace, and a more nuanced approach to policy determination. I think this will be very clear from the results we present at the upcoming conference. Those attending will recognize how misleading the stereotypes about Millennials can be and, perhaps think differently about what it will take to develop a compelling employment value proposition for the Millennial generation. I hope the illuminating stories that predictive analytics practitioners tell continue to light the way in achieving greater organizational and workforce insight. Don’t miss Tauseef’s conference presentation, What Millennial Employees Actually Value: Lessons from Predictive Modeling, on Tuesday, June 5, 2018, from 10:30 to 11:15 AM, at Predictive Analytics World Las Vegas, 2018. Click here to register to attend. Use Code PATIMES for 15% off current prices (excludes workshops). Eric Siegel is the founder of Predictive Analytics World (www.pawcon.com) — the premier machine learning conference, with cross-vendor industry events in Las Vegas, Washington DC, London, Munich, and Berlin — and the author of the award-winning book, Predictive Analytics: The Power to Predict Who Will Click, Buy, Lie, or Die – Revised and Updated Edition, (Wiley, 2016).